Measles vaccination virtually eliminates any chance of contracting the disease. Childhood immunization rates have remained at a consistent level for the past 20 years. Despite recent media hysteria there’s little evidence of a ‘measles comeback’. 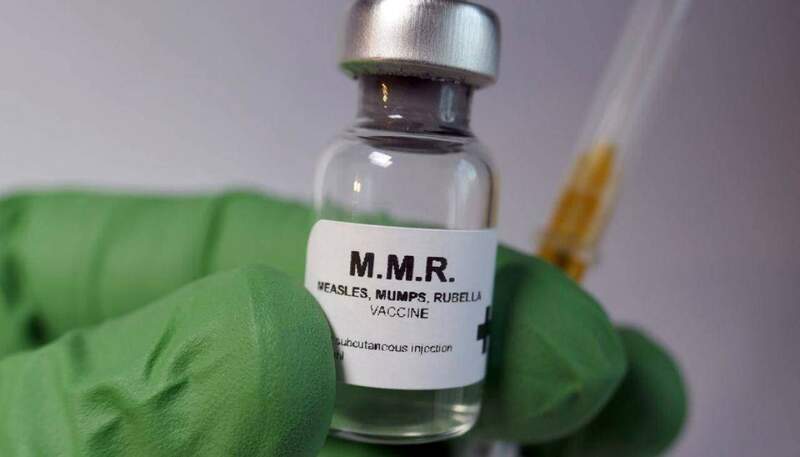 The mainstream media and in some cases politicians and government officials are fanning the flames of hysteria over several ‘hotspots’ of measles outbreak across the United States. Some breathless reports are even suggesting that the country is at risk of a ‘measles comeback’ in which a disease that has been considered eradicated once again becomes a factor. A subtext of this narrative is that the ‘outbreak’ (some media outlets use the term ‘epidemic’ incorrectly) is due to lower vaccination rates caused by an increase in ‘anti-vaccine’ conspiracy theorists known colloquially as anti-vaxers. With World Immunization Week taking place in the last week of April it seems like a perfect time to put some of the aforementioned narratives to the test to see if they withstand statistical scrutiny. There may be some ancillary factors in the dramatic decline in new measles cases including heightened awareness and education. On the other hand, there are several countervailing trends that theoretically should have resulted in an increase in measles cases such as more effective reporting methods and a US population increasing in size and diversity. The effectiveness rate quoted frequently ranges from 93% to 97% and based on the data that appears to be accurate. WHAT ARE THE CHANCES OF CONTRACTING MEASLES? This year there have been 465 cases of measles reported as of April 4, 2019. Even if this number should double or triple the chance of catching measles is statistically insignificant. These are very general probabilities but we need a big disclaimer here–your actual chance of contracting measles is subject to a number of variables including overall health, age, lifestyle, etc. The diseases most often spreads in communities with greater exposure due to international travel and lower vaccination rates. More about that in a moment. If you look at the new measles cases data above and the CDC chart linked above you’ll see why its tough to buy that measles is making a ‘comeback’. The number of new cases frequently spikes in a given year but returns to an extremely low number the following year. For example, in 2014 there were 667 new cases but only 188 in 2015 and 86 in 2016. Is it possible that the rate of new measles cases could continue to rise? Sure it is–but to even suggest that a disease considered ‘eradicated’ is making a comeback would require a big jump to a statistically significant level for at least several years. HAS THE VACCINATION RATE EXPERIENCED A SUBSTANTIAL DROP? DON’T CHILDREN HAVE TO HAVE A MEASLES VACCINE TO START SCHOOL? All 50 states and the District of Columbia have a law requiring children to have certain vaccines–including the MMR vaccine–before they’re allowed to attend public school. And what if the parents don’t want to vaccinate their children? In most cases, they don’t have to. Every state has a ‘medical exemption’. No problem there–if a doctor has a compelling reason why a child shouldn’t be vaccinated it should be honored. Here’s the problem–47 states and the District of Columbia have a religious exemption from the vaccination requirement. In most states, all a parent needs to do is sign a written statement affirming that it violates their religious beliefs to have their child vaccinated. 17 states and the District of Columbia have a philosophical exemption meaning that a parent can pretty much not vaccinate their kid for any reason. De Blasio decried anti-vaxxer misinformation campaigns targeting parents, and the health commissioner warned parents were having “measles parties” to infect their children with measles and to naturally immunize them — and avoid the vaccination. Going after anti-vaxxers doesn’t have the same degree of political risk as targeting a specific religion. Given the reaction within the Orthodox Jewish community it’s easy to understand why DiBlasio doesn’t want to touch the religious exemption issue with a ten foot pole. Instead, he’d rather disingenuously blame a less politically connected group since that’s his forte. Unfortunately, the mainstream media–particularly outlets that carry water for DiBlasio such as the New York Times–are blaming anti-vaxxers for the failure of religious communities to vaccinate their children. The anti-vaxxers don’t need to target religious groups that don’t believe in vaccinations–their religious doctrine did the work for them years ago. To be fair, there are definite constitutional arguments in favor of religious exemptions in general and in the current situation with the Orthodox Jewish community in New York in particular. At what point does adhering to religious beliefs become a public health hazard? Is it justifiable to deny people religious freedom once that threshold is reached? If an outbreak occurs within insular religious groups is that a problem for the public at large? The CDC has a very low threshold for an ‘outbreak’–four or more reported cases. From a practical standpoint, however, even a few hundred cases is statistically insignificant. Here’s the good news–despite media and political hysterics to the contrary there’s scant evidence that measles are making a ‘comeback’. Furthermore, the current number of reported measles cases might be higher than usual but their not unprecedented within the context of the year to year data. Most people–vaccinated or unvaccinated–are at minimal risk of contracting measles. Unless you check several boxes such as religious beliefs, international travel to certain countries and not being vaccinated you’re more likely to be mauled by bears in your front yard than you are to catch measles. Unfortunately, that hasn’t stopped the media from fanning the hysteria and some politicians from trying to exploit the situation. The fact they’ve got a viable scapegoat in the anti-vaxxers means they won’t have to take the political risk of going after any specific religious groups.